JOHN DEERE TRACTOR MODELS A COMPREHENSIVE CARBURETOR REPAIR KIT with FLOAT! This is a very complete kit! Carburetor Repair Kit for John Deere Tractor Model A with a Marvel Schebler Carburetor models DLTX 24 and DLTX 53. This Carburetor Kit includes needle, seat, throttle shaft, and carburetor gaskets and many other parts for a complete rebuild. The carburetor float is included. This kit fits John Deere carburetor numbers AA3590R and AA4056R. 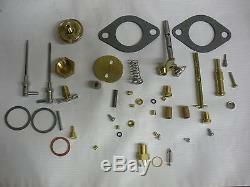 This kit fits the carburetor manufactured by Marvel Schebler. The picture shown is a stock photograph and a depiction for listing purposes. Overwhelmingly, Buyers are pleased with our items and our service. The item "John Deere Model A DLTX 24 DLTX 53 Comprehensive Carburetor Kit with FLOAT" is in sale since Monday, November 13, 2017. This item is in the category "Business & Industrial\Heavy Equipment, Parts & Attachments\Heavy Equipment Parts & Accessories\Antique & Vintage Equipment Parts". 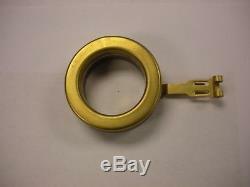 The seller is "internettractorparts" and is located in Sioux Falls, South Dakota. This item can be shipped to North, South, or Latin America, all countries in Europe, all countries in continental Asia, Australia.